I was always always straight over the top through my youth and it wasn't until I was in my first year of pro ball with the Rockies that I decided to drop down. I gained heavy sink on my fast ball while being more deceptive. It gave me more confidence that I could always rely on the sinking fastball, especially when behind in the count. Breaking ball went from a 12-6 to a firm slurve that was very affective against lefties. Never mastered a change up from my arm angle. I believe I had the success I did due to having a unique throwing action. Are they really going to benefit out of it? Play around with it but there might not be any need to change something already successful. What works for some might not work for others. Must stay closed for a tighter delivery and direction to the plate. Opening up to early afternoon will affect control. I was mainly a sinker, slider pitcher with an average change up as a third pitch. I actually didn't pitch much different to the both. Attacked the zone aggressively with fastball and slider was a strikeout pitch for both. It was my arm angle from the left side that made me more affective against lefties than righties. 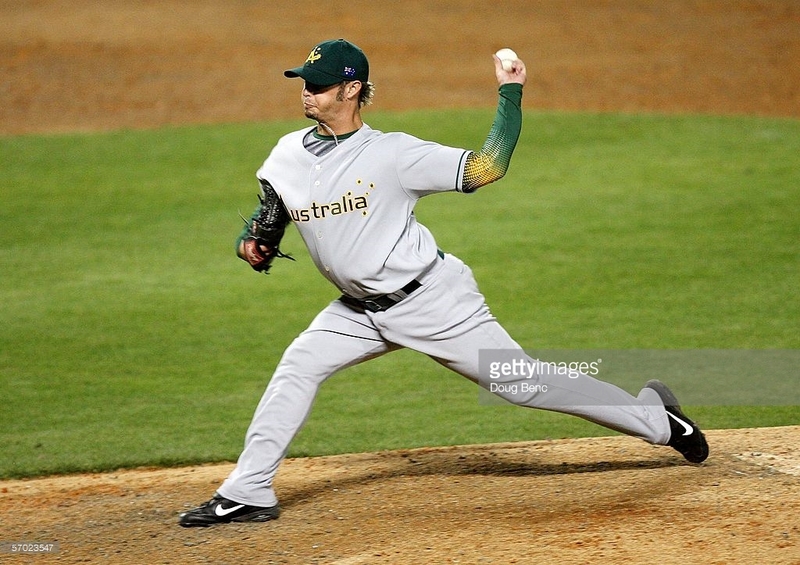 I liked being the lefty specialist out of the pen throughout my career professionally and with team Australia. For me personally that was enhanced from throwing side arm and offering a different arm angle on a pitching staff.